TOGETHER WE CAN BUILD A BRIDGE FROM GOD’S HEART TO THE WORLD. Give a Gift to a NEEDY CHILD …and you will add a “BIG” SMILE. SALOME is the little girl under the Bridge. She was dropped off at Eric and Kamah’s Home. 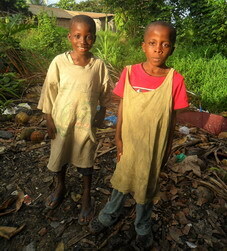 Calvin and Alvin were found roaming the back streets of Monrovia, their mother died, their father was taken to jail. Today they are happily settled in one of our Hope Homes with caring parents, Eric and Kamah who now have 13 children crowded into a small 2 bedroom house. They desperately need a new home. This March their rent will expire. Hopefully by then we will have the funds to rent a new place for them. These children are all needing clothes again. I told them we would get to that before Christmas. Princess has a growth in both her eyes. She needs surgery. We hope to save her eyes. 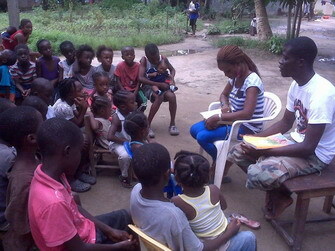 Every Saturday Eric gathers the village Children for Bible Story Time. This is how he met Princess. They will want a Christmas party with the children. Cost $100 They will get pop, popcorn and candy. There are many children now. The group keeps growing. 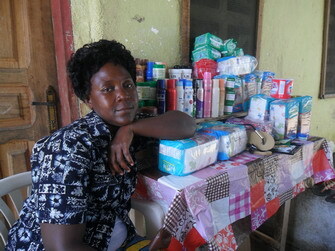 Kamah sells dry goods in front of their home. 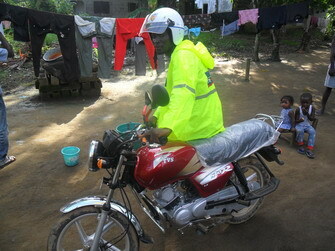 Eric runs a motor bike transport business. We give each of our Hope Home Families Micro Loans in order to help sustain their homes. Our support is only partial. Our goal for each home is sustainability. 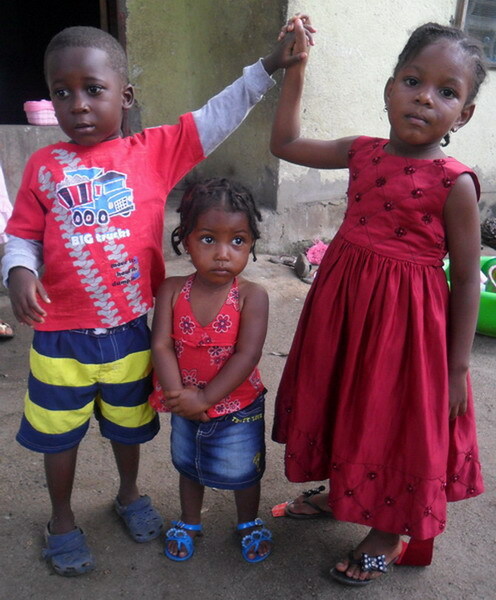 Provision of Hope has 4 Children’s Homes, with many foster care homes all over Liberia. 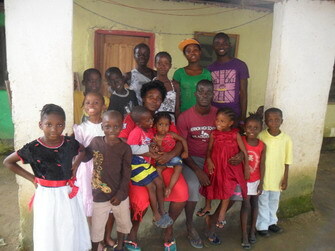 Presently we are caring for many orphan children and refugees that we have helped resettle in Liberia. We have way too many widows who are asking for help. If you are looking for a Family Project THIS CHRISTMAS here are some great ideas! I could send you a photo to make this more realistic for you or your children. Buy a bag of used clothing for one of our HOPE HOMES. We get HUGE bags of clothing for $300 per bag. Rent a room for a refugee family for one year $300 We are always renting rooms for the homeless. Provide a chicken dinner for a Hope Home Family $100 They seldom “ever” get chicken Only at Christmas. Provide a micro loan for someone to become sustainable $ 300 This is the way forward. Help someone who is sick, like Princess who needs eye surgery … we may need to fly her to Ghana for this kind of surgery. Would someone like to take on this project? 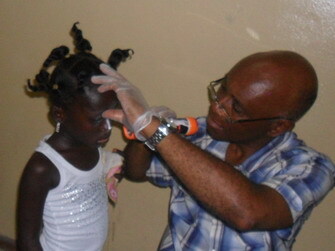 “Save Princess’ Eyes” The Doctors in Liberia said they cannot help her. If she does not get surgery she will go blind. Help someone who is sick get treatment $50 or $100 With this little you could SAVE A LIFE. We are rejoicing with you in God’s provision of land! I wonder what He will do with it.Sooo exciting. Thank you for your faithfulness to our Heavenly Father. God multipy blessings upon you and your family.